We started stocking the beautiful Aran Tweed hand knitting wool spun in Kilcar by Donegal Yarns. 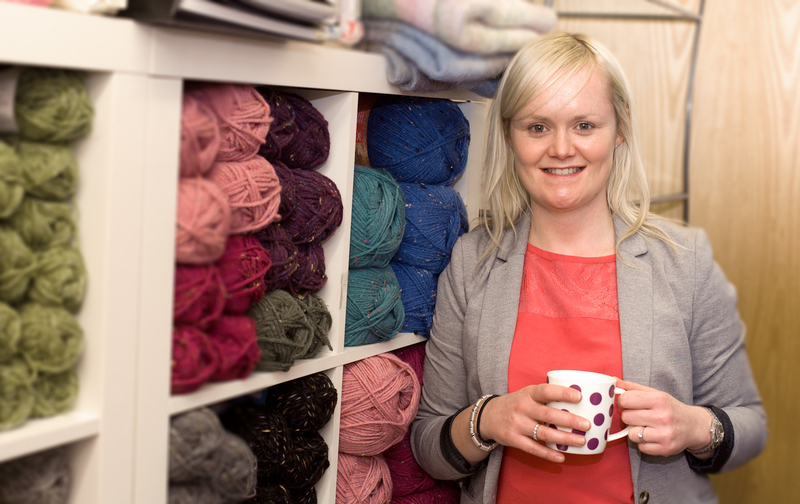 This is the genuine Donegal made of 100% wool and spun using traditional methods. Each colour has subtle contrasting flecks evoking the palette of the surrounding landscape. We also stock many jumpers made from this wool so it felt natural for us to supply this. We stock 50g balls of Studio Donegal wool in a range of colours as well as 250g hanks of Kilcarra Homespun Wool, and 100g hanks of soft Merino wool by Studio Donegal. We have recently stocked a large range by Tivoli of Cork, consisting mostly of 25% wool/ 75% Acryclic, this is a great alternative for people who like the earthy tones of Kilcarra yarns as the colours are very similiar but don’t want the handwashing needs of knitting with pure wool. Our tivoli wool is accompanied by some fantastic very contempory knitting patterns for sweaters, shawls and hats and scarves, and some come free with the wool. One of our most popular items in our wool department are the “one ball wonders”, they are a nifty kit made up of a 100g ball of Cushendale Wool/Mohair 70/30%, a pair of chunky needles and a very straighforward pattern to knit a scarf or snood, all for €20! The balls of wool can also be bought separately, and there are some gorgeous colours in them such as burnt orange or turquoise. We stock a little bit of everything, as well as knitting needles, for the beginner up the advanced knitting aficionado!